Erie County has more than 12,000 acres of parks, forests, golf courses and beaches to enjoy. Mark understands we hold our parks in a public trust for future generations and we must invest in them for today and tomorrow. 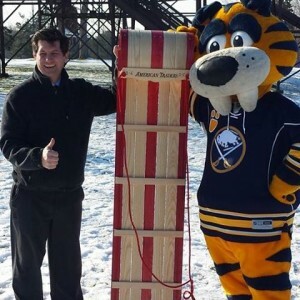 As such, Since 2012, under the leadership of Mark Poloncarz the Department of Parks, Recreation and Forestry has invested more than $12 Million into the Erie County Parks System to improve our vast park system, and that will continue to do so as long as Mark is YOUR County Executive. The Buffalo and Erie County Public Library System is one of community’s greatest assets. Unlike prior administrations, Mark substantially increased funding during his tenure, all without increasing property taxes. Additionally, Mark has invested in new bookmobiles for the library system, supports the incredible exhibits the Central Library has displayed, and he pledges he continue to invest in our libraries as YOUR County Executive. 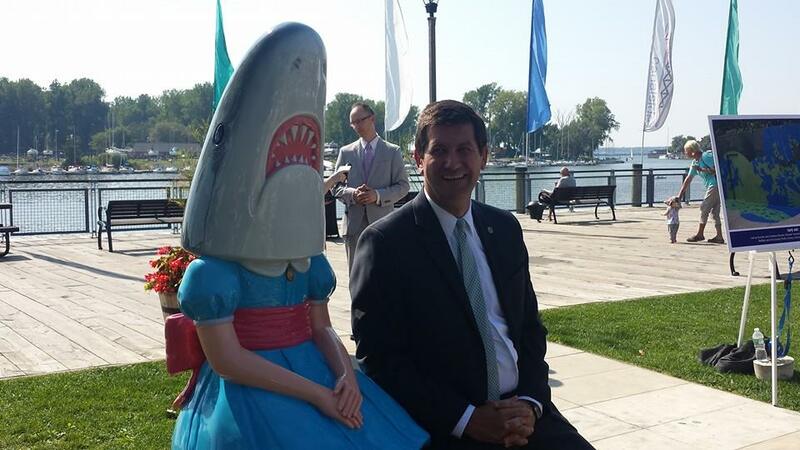 Mark and Shark Girl at Canalside, a successful public art project collaboration between the county and the Albright Knox Art Gallery. Our community is blessed to have world renowned arts and cultural organizations. Mark understands these organizations not only enrich our mind, but they are a valuable sector of our local economy. As YOUR County Executive, Mark increased the number of dollars available to arts and cultural organizations as well as opened up assistance to many more entities. 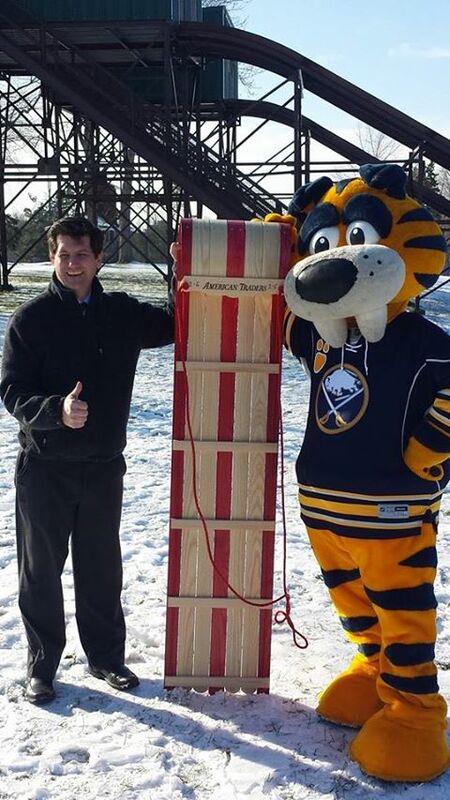 He also has supported major infrastructure projects of area organizations, such as $4.5 million for the Zoo’s new Arctic Edge Exhibit, $5 million pledged for the Albright-Knox Art Gallery’s new gallery space, and supported the Museum of Science’s renovation of the Kellogg Observatory and restoration of its telescope with a $500,000 grant from Erie County. By doing so, Mark knows we are supporting not only our local arts scene, but our entire economy. Erie County is one of the largest counties in New York, and has more miles of roads than any other similar county. In fact, Erie County has more than 2,400 lane miles of roads, which is more than the states of Delaware, Rhode Island and Hawaii each have. As YOUR County Executive, Mark understands the need to invest and rebuild our road and bridge system. During Mark’s tenure as County Executive, he has invested more than $416 million in our Highway Department’s efforts to repair our road and bridge infrastructure, and will continue to improve our road and bridge system as YOUR County Executive.